The steps below outline what you need to do in order to begin the Sweeney Programme. 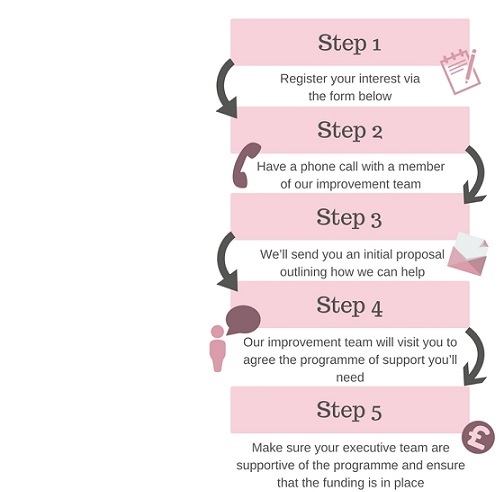 We know it’s very difficult to get funding so we’re happy to help. Many organisations we work with secure funding for the Sweeney Programme by partnering with their hospital charity or a local charity. If you would like to speak to someone about your funding options, please contact Angus Wiltshire.